The Orange School of Performing Arts has been providing premier arts education in central Virginia for over 25 years. In addition to the arts, we encourage our students to pursue their dreams in all areas of interest to establish an enriched life. At the Orange School of Performing Arts we believe exposure to the arts enhances personal development through creative expression, it builds self confidence and promotes a healthy lifestyle. We provide a supportive, nurturing environment while encouraging our students to strive for excellence through hard work and discipline. We are built on Family and dedicated to serving and inspiring our community. DEMETIA HOPKINS-GREENE (Co-Artistic Director) began her dance training at the Orange School of Performing Arts under the direction of her uncle, Ricardo Porter, and Heather Powell. Mrs. Hopkins-Greene graduated with honors from the Ailey/Fordham B.F.A. Program in 2009 while a member of Ailey II. In 2010 she joined the Alvin Ailey American Dance Theater. JESSICA GREENLAW’S training began in Pittsburgh under some of the greatest names in dance; Jean Gedeon, Luigi, Kenneth Johnson, Nicolas Petrov, Assaf Messer, Yelena Ryabinkina, and Mikhail Korogodsky just to name a few. While a member of the Pittsburgh Youth Ballet Company (one of the top rated youth ballet companies in the US) Jessica had the honor to perform in Balanchine Ballets approved by the Balanchine Trust. After earning her Bachelors of Arts in Dance with concentrations in both Jazz and Ballet from Point Park University, Jessica moved to NYC to continue her dance career. There she performed in various shows, on cruise ships and tours including; touring with The Wizard of OZ (Wicked Witch), being the only American on the Irish International Dance Company’s tour of the US and dancing at the Bobby Vinton Theater in Branson Missouri. Jessica has done voice over and commercial work in PA, VA, NYC and Tokyo. Between shows, Jessica enjoyed judging, and being a private children’s audition coach. AUDREY FENSKE began her dance training at Bounds Dance Studio/Triangle Youth Ballet in Chapel Hill, NC. She continued her studies in high school at the Virginia School of the Arts under the late Petrus Bosman, and received the Service Award upon graduation. She received additional training with Houston Ballet, BalletMet Columbus, and Pilobolus. JUAN MAMBOYO started as a self-taught freestyle dancer focusing in krumping, popping/locking, waving, isolations, and breaking. During the summer of 2008, before his junior year of high school, he and a group of friends started their own dance team which performed in many pep rallies, talent shows, and special events. 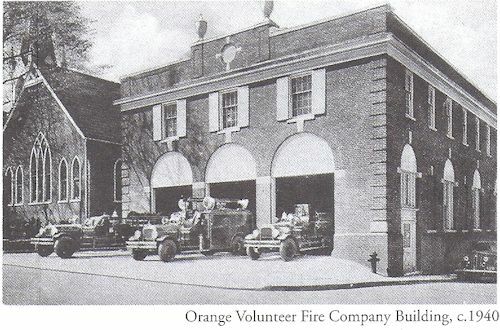 Our facility​, originally a firehouse for the Orange Volunteer Fire Company on Main St. in downtown Orange, Virginia was built in 1938. The O.V.F.C. operated from its Main Street location until 1984. In 1992, Ricardo Porter Jr. founded the Orange School of Performing Arts which operated out of the basement of the old firehouse. Ten years later, Porter expanded to the main floor adding the Firehouse Theatre, more studio space, and dressing rooms. At no time are children under the age of 12 allowed to be left alone in the studio without parent supervision. After classes, all students must wait inside the lobby or foyer for parents’ arrival. All families are assigned a mailbox in the front office at OSPA. This mailbox should be checked regularly by parents for any correspondence regarding OSPA, INC.
OSPA, INC. instructors and staff hold the right to dismiss students from classes due to inappropriate behavior. Upon dismissal from classes a parent will be called and expected to pick up the student immediately. Easter, Thanksgiving, Christmas and all Holidays observed by OSPA, INC will be announced in the studio newsletter and marked on the studio calendar. In the event of inclement weather please call the studio, (540) 672-9038 after 2:00pm on weekdays and one hour prior to your class time on weekends, for a message regarding whether classes have been cancelled. If the message does not say otherwise classes will be held on schedule. Additionally cancellation emails will be sent to all studio families and updates will be posted on the website. Classes missed due to sickness may be made up only if a comparable level class is available. Permission must be obtained from the Front Office prior to attendance. Students may only make up one missed class per month. OSPA INC. offers an open Observation Policy. Parents wishing to watch students in Studio A may do so the last 10 minutes of class only. 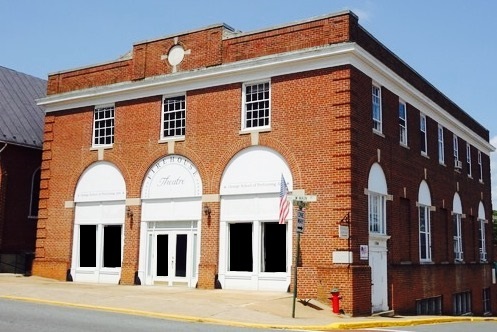 Studio A (Firehouse Theatre Space) has space available for watching inside the classroom. Parents are asked to respect the instructors and students by not talking while in this space! Parents wishing to watch students in Studio B may do so from the Parent Room observation window at any time. Parents wishing to watch students in Studio C may only do so in the last 10 minutes of class. Studio C has an observation window outside the classroom. If parents begin to abuse this privilege and become a distraction to students, OSPA reserves the right to discontinue the privilege! The studio has yearly locker rentals that are available to all OSPA students. Lockers are located on the main floor in front of the girls locker room and the cost for a locker rental is $10 and all lockers come with a combination lock. For locker rental information see the front desk. All lockers must either be re-rented OR be cleaned out by the end of the dance season (May 1st). The studio is not responsible for items missing from the lockers.